Our 40-Strike book! Perfect for bolder promo events, film premieres, lounges, bars, restaurants, music venues, and much more! 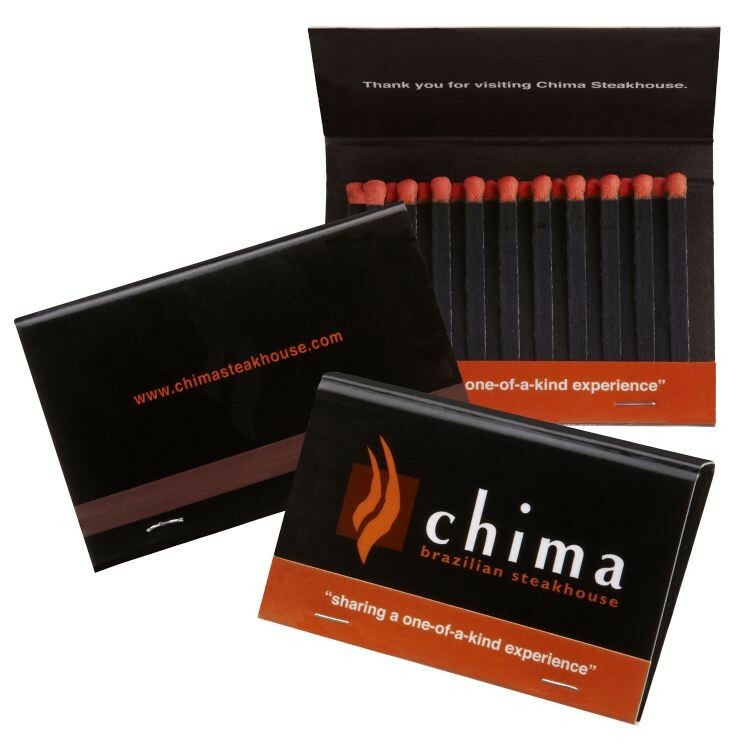 Each wide 3-inch book comes with 40 black stems and 1 of 17 stock match tip colors. Plenty of space on this jacket to jot down that new name and phone number you met at the bar! "Base Price" includes 1-color imprinting on entire outer cover (except striker).